Getting into smoking meat can be an expensive prospect for many people. And if splashing out a few hundred to over a grand on a new smoker wasn’t enough, you’ve also got to learn how to use the damn thing! Luckily there are now lots of decent entry – mid level options for well under $300. The Masterbuilt Electric Smoker (also known as the MES) has already made our list of best beginner smokers, as well as our guide to the best electric smokers, but we thought it was high time we did an in-depth review. 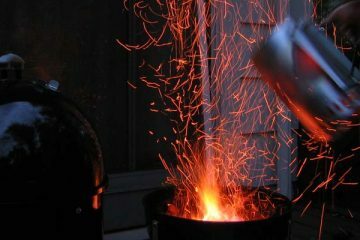 If you want to see how it compares other electric smokers, or other common beginner smokers like the Weber Smokey Mountain then check out those links above, otherwise read on to learn what makes the MES one of our most suggested smokers. Should You Buy the Masterbuilt Electric Smoker? 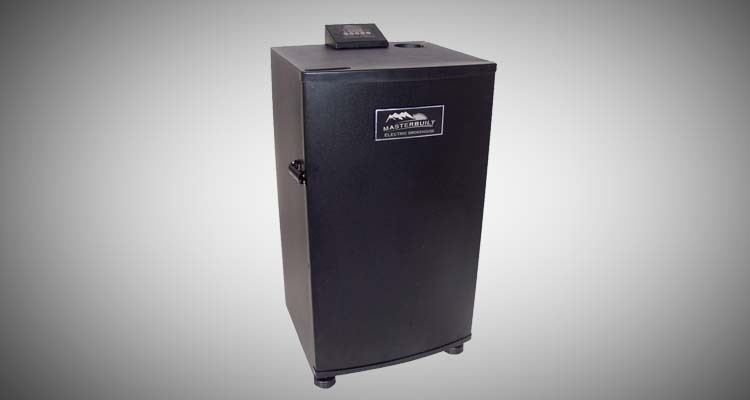 The MES is an inexpensive smoker that offers amateur and professional pit masters a high-quality smoking experience. The first thing you need to understand is the different options. The most basic model you can order is the 30 inch with no window and a top controller. The biggest decision for most people will be between the 30″ and 40″ models. There is a nice amount of room in the 30″ model for the price. The 721 square inches should be enough for smoking pulled pork, brisket and ribs, but don’t expect to smoke anything too big like a large turkey. That said, most amateur smokers should still have plenty of room for their meat. If you want to feed a larger crowed (or you just love leftovers…) then the 40″ model of this smoker is available for a little extra money. Both models come with a side drawer for wood chip loading. The main differences lay in the heating elements (800 watts for the 30-inch and 1,200 for the 40-inch) and the interior size (721 square inches for the 30-inch and 975 for the 40-inch). It really comes down to if you have the room to fit the larger model, and the need to fit extra food. The last thing we’ll say on size is that we’ve heard of people who needed to upgrade from the 30″ to the 40″, but no one ever sized down. Easy to Use – Unlike more complex or expensive smokers, this one is fairly easy to understand and requires very little time and investment mastering. It even allows you to control it with Bluetooth! 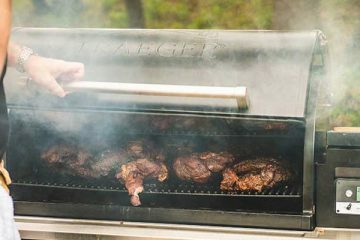 Wide Range of Cooking Temperatures — You can smoke your meat from 100 to 275 degrees Fahrenheit, a nice sturdy range that makes the unit useful for a variety of smoking situations. Great Style – This baby looks great and has a classic old-school style we can get behind. You can choose from 3 colors including silver, black (my favourite!) & stainless. 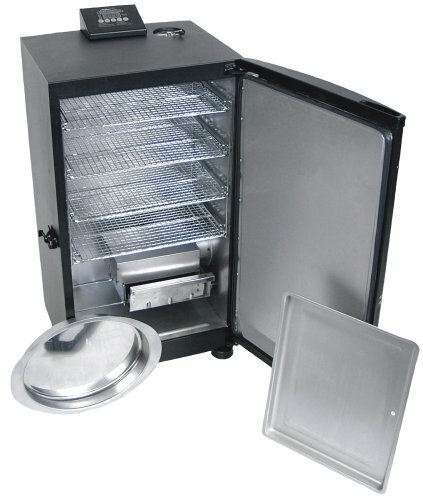 Add-on options – Masterbuilt produce a cold smoking attachment that fits on to any model which is great if you want to start cold smoking your own cheese or fish. Problems With the Temperature Probe – Unfortunately, this item often struggled to work when we used it. 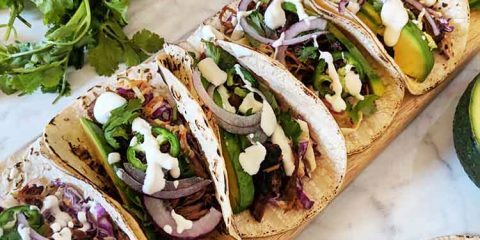 This issue makes it difficult to gauge how well your food is cooking. The best option is to always use your own quality digital thermometer. 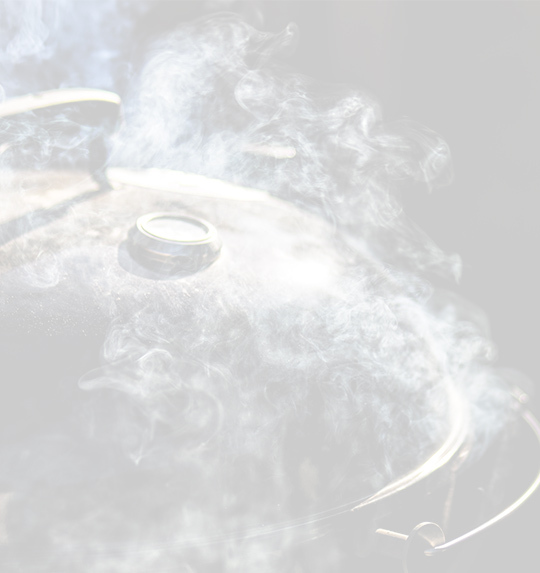 Calibration Flaws – Continued use of this smoker often seems to cause the temperature to be off by 20 degrees. This calibration problem didn’t always occur, but it was frustrating when it did. With any budget smoker this is always going to be the largest area of concern. And when you compare this unit to more expensive smokers, the build quality definitely doesn’t stack up. But it’s not fair to compare the MES build quality to something like the Smokein-it that’s nearly double the price. There also seems to have been some enhancements made by Masterbuilt on the latest models. So if you’re looking around the internet and see horror stories, chances are these issues have been addressed. The insulation and airtightness is good for the price, but we did get a little bit of smoke leaking out the front door. The worst offending part though has to be the front feet. For some reason Masterbuilt decided to cut corners here with flimsy plastic legs. Shouldn’t be a problem if you are leaving the unit in the same place though. As we’ve said before, using the Masterbuilt Electric Smoker is very easy. 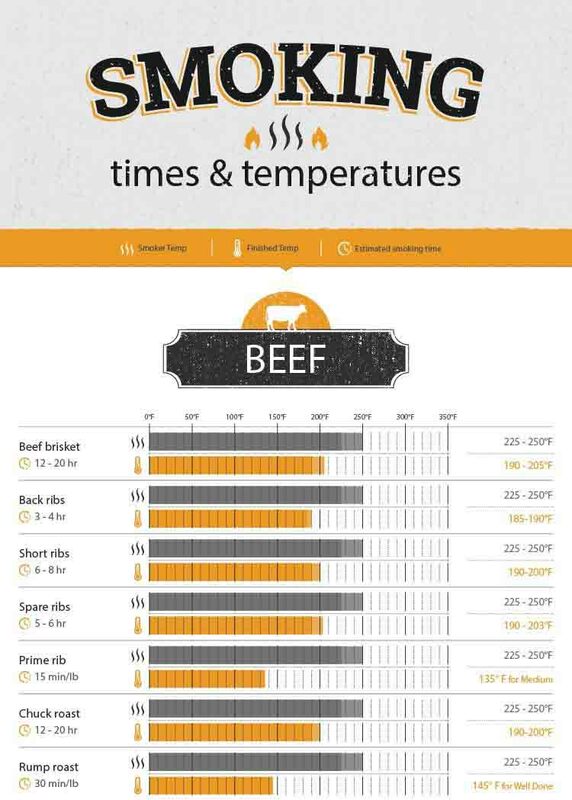 Simply place your meat on the grill, select your temperature, and you are ready to go. You definitely appreciate the simplicity of the electric smoker design on a long smoke. It takes about 30 minutes to setup, and you might have to struggle to line up all the screw holes the first time. Anyone can use it right away without having to worry about learning anything special about smoking. 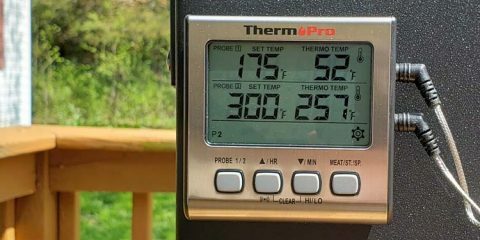 We are especially happy with how easy it was to load the meat, adjust your settings, and select an appropriate smoking temperature. Anybody could just pick up this unit and get started with it right away. 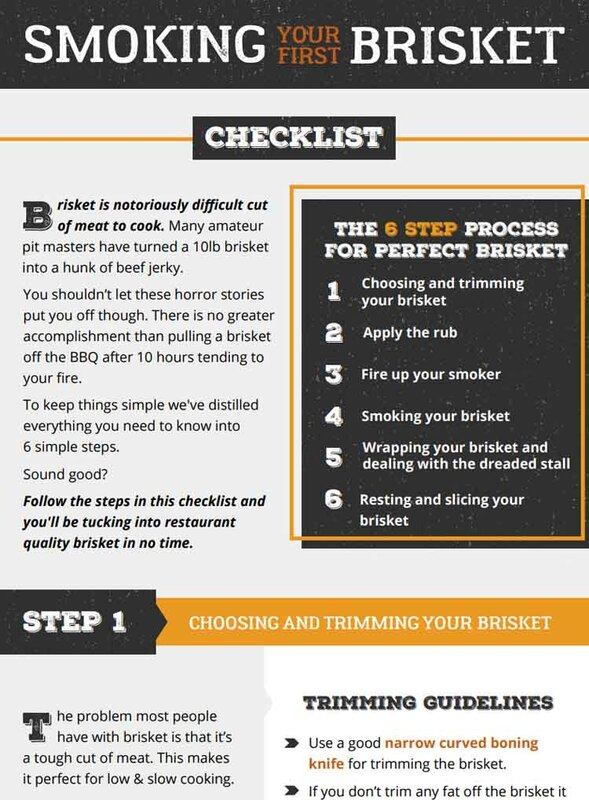 To see the MES in action video from Southern Coastal Cooking shows you how to smoke a brisket. One thing you’re going to want to do is protect it with a cover when it’s left out in the elements. Without this cover, damage from rain and other weathering concerns could occur. Wrapping it up with the cover was incredibly easy. Just pull it over the top of the smoker and drag it downward. This seals it from weather and keeps it operating at a high level for a long time. Another aspect that makes this smoker easy to use was the sliding wood chip tray. It moved smoothly on its hinges for easy access. The fill-line was a particularly nice touch here, as it helped give users a better feel for how many wood chips they should include. The tray is quite small though, and the chips can burn up within the first 30-45 mins. So you’ll need to keep refilling them, or consider buying a smoke generator like the A-Maze-N pellet smoker. Combined with the easy-to-understand electric unit and you have a perfect starter unit. Were there any problems with controlling this unit? Well, some users have reported that the LED controller has a tendency to fail after an extended period. We didn’t experience this problem, but it is one that potential buyers should note. This concern wasn’t noted by just one user, either, but by multiple reviewers who found it to be a troubling issue. 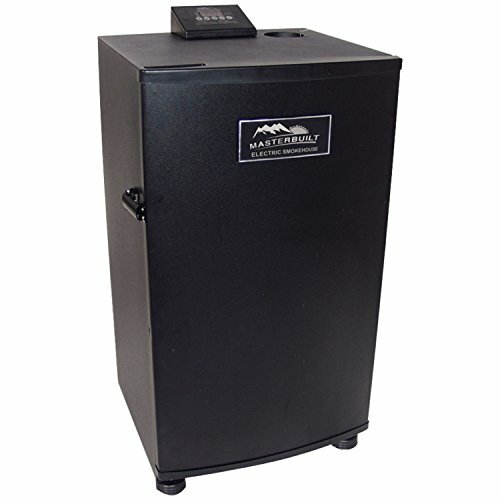 While the MES is a popular and inexpensive option, the Bradley Smoker is another popular electric smoker choice. The Bradley is a little more expensive than the no window 30″ MES. No users have complained about Bradley’s operation, but most have said the Masterbuilt is just as useful and powerful. The most serious concern was the use of wood pellets in each system. The Bradley only accepts certain types of pellets, so you are locked in to a single brand. By contrast, the Masterbuilt will accept any wood chips you can buy from your local hardware store. The controls on the top of the Masterbuilt are also more convenient than the side unit on the Bradley. While neither unit should be operated in heavy rain, the top controls are easier to cover and protect in a sudden downpour. One advantage of the Bradley, is that the unit will keep feeding pellets into the smoker automatically. With the MES you will have to top it up every so often to maintain the smoke. So it all comes down to the final question: should you buy the Masterbuilt Electric Smoker? This question is hard to answer. On the one hand, it is inexpensive and effective when it does work. We were surprised at how well it smoked meat, especially as it uses electricity to heat the wood chips. It is probably the perfect model for someone who is new to smoking. 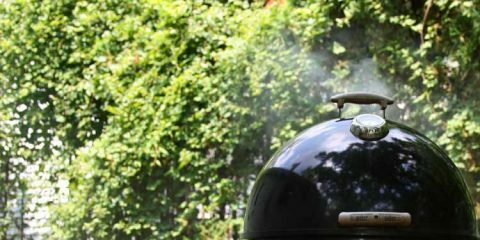 Those who don’t want to spend a lot of money on a smoker can also benefit from this model. While it’s not the most solidly built smoker, it’s well insulated enough to do a good job (just don’t try smoking in a blizzard). Other than the built-in sensor being a little off, this unit is a great choice for your first smoker. And if you decide to go with the Masterbuilt electric smoker we have a guide to seasoning your new electric smoker. I would do your own research before you buy this smoker. The very first time we used it, it worked great for the first hour or so and then kept turning off and on by itself. I looked up things about it and lots of people had the same problem. It shouldn’t have any issues the first use. In my opinion, there has to be better. Hi Kathy, thanks for sharing your experience with the Masterbuilt Smoker. Unfortunately a lot of budget electric smokers suffer from similar issues. There’s more parts so there’s more things that can go wrong with an electric. If this started happening on your second use it sounds like a problem with the temperature controller, and something Masterbuilt should have fixed for you.